In Philosophical Fragments, Kierkegaard calls this question “the Absolute Paradox,” the frontier to which thinking cannot help but arrive but also cannot possibly solve. Basically, we must know the answer to this question in order to determine which way of life is wise and which way is foolish, but it is impossible for human thinking to provide this answer. Something interesting occurs, however, when we filter the debate over the theory of evolution through the lens of this ancient riddle. It turns out that both sides actually agree on one fundamental point: that the theory of evolution, if true, dispels the Paradox, proves that human beings are really just complicated animals. What if this agreement between science and religion is a mistake? What if the Paradox cannot be proven one way or another, by either science or religion, because it is referring to the open-ended character of reality, human freedom, the fact that we are obliged to choose which of these two possibilities we are going to presuppose with our words and deeds? What if, in other words, we are free to decide whether our actions will imply that humans are really just savage beasts, or whether our actions will imply that humans bear the image of a divine and gentle nature that has been distorted by a life of injustice? If this is the case, the traditional job of religious discourse would have been to inspire those of us still wavering between the two poles of this Paradox to shape our lives in light of the latter presupposition. Modern science, meanwhile, would not have disproven religion so much as rendered some of this traditional rhetoric less persuasive – which, unfortunately, has made it very difficult for many people to believe that this second option is actually a rational possibility. The problem with our current intellectual climate is simple: pious people are striving to persuade both themselves and others of the divine path by refuting the theory of evolution, but this is only making the problem worse. This rhetorical strategy just confirms the supposedly “scientific” mind in its mistaken belief that there is a dichotomy between the rationality of science and the irrationality of religion, that evolution has indisputably proven the beast and that anyone who says otherwise is a superstitious fool running from the truth. The way out of this dismal situation is simple: we must show the “scientific” mind and the pious mind that there is no dichotomy whatsoever between the scientific theory of evolution and the ontological claim that human beings are free to choose which ontology they will presuppose. Imagine a long empty beach. A single family arrives to have a picnic. A second family arrives, then a third. If the families are mutual strangers, it is unlikely that the new arrivals will sit immediately beside the people already there. Instead, they are more likely to go to some empty spot on the shore, leaving a respectful buffer between themselves and their neighbors – as when strangers fill the space of a subway car or men saturate a wall of urinals. There is no planning involved in this; space fills evenly, according to a logic similar to the diffusion of a gas. But when a tenth, a twentieth, a fiftieth family arrives, something different begins to happen. Forced into proximity, the interaction between the families must become more complex: paths from the back of the beach to the edge of the surf need demarcation; places for the disposal of waste, the procurement of provisions, the playing of sports, reading, swimming, need to be assigned; someone gets sick, so the families decide to establish a clinic; a fight breaks out so they decide to establish a police service and a judicial system to arbitrate disputes; more and more families continue to arrive, so a wall is built around the entire area to forestall the need for even stricter regulations; eventually, they establish a formal political institution for deciding how such regulations will be made. Paths, clinics, judges, walls, politics – when there was only one family, none of these forms could possibly have existed. More importantly, however, it would also have been impossible to predict exactly what form these institutions would eventually take when the beach became saturated. This is a paradigm example of how complexity emerges: the material elements (individual families) that coagulate into a more complex form (political organization) do not determine the characteristics of that form. Moreover, conducting minute scientific observation of a single family, a single human, a single human cell, (a human genome, a hydrogen atom), will never allow us to predict what kind of political organization might eventually emerge on a saturated beach. The supposedly “scientific” vision of reality usually takes physics, the science of the simplest bits of matter, as the paradigm for explaining how complex organizations emerge. This beach-story moves in the opposite direction: the obviously unpredictable emergence of political organization out of a field of families, this negotiation between the necessity of fixed law and the freedom to choose how law will be fixed, is seen as the paradigm for how all complex organization emerges. For example, when our universe was a vast and undifferentiated cloud of hydrogen and helium gas, it would have been impossible to foresee what rules would eventually come to govern the interactions between higher order elements. Until gravity concentrated these elements into coherent points (stars) and the pressure of this saturation gave rise to nuclear fusion and the formation of the periodic table, chemistry would be as non-existent as was political organization when the beach was populated by only a single family. The relationship between physics and chemistry, in other words, is parallel to the relationship between culture and politics, between one family and a space saturated with families that organize themselves in progressively more complex arrangements. 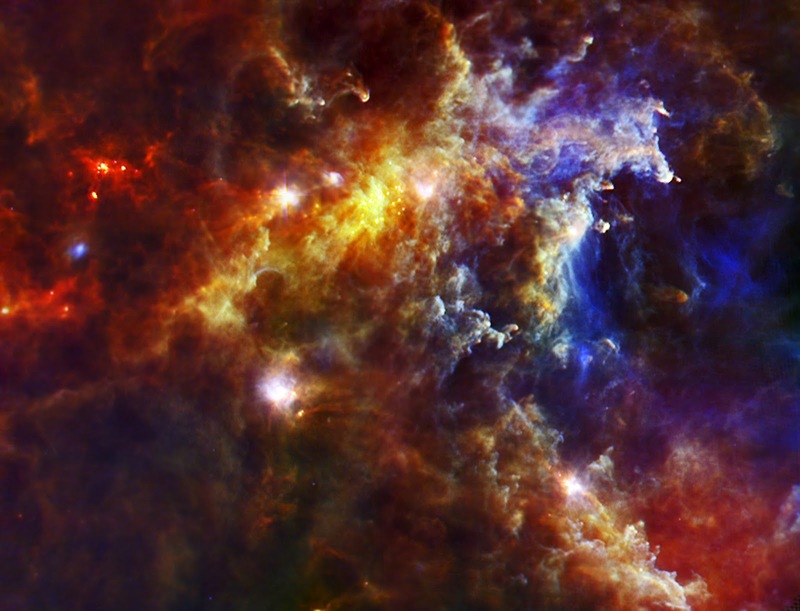 The universe is not the temporal development of a logical structure already inherent in some ur-cloud of primordial atoms. It is the temporal unfolding of radical newness – and now, as the knife edge of this roughly 14 billion year old process, human beings are responsible for choosing how the ontologically unprecedented technological, political, and cultural layers of reality will come into being. What does all this have to do with freedom and the Absolute Paradox? Let us begin with some sensible ontological humility: as human beings, we do not know whether and to what extent our actions are fundamentally free or fundamentally determined. From here, we can make an obvious point about the relationship between thought and action, philosophy and life: even though we do not know which ontological position is true, we are still obliged to live, and living means making (what at least appear to be) decisions. This is where the Paradox comes in: the decisions we make will inevitably presuppose one or the other ontological possibility. And now the crux: the more our decisions presuppose that humans are really just savage beasts, the more the world will come to appear that way to us; alternatively, the more our decisions presuppose that we are free to decide our fate, the more we will understand that we live in the context of a fundamental ontological choice between determinism and freedom. The theory of evolution, in this context, is being misappropriated by people who have made the wrong ontological choice as proof that there was never a choice to make. It appears, to them, that this is the only possibility. This thought experiment is an attempt to present how evolution appears from the other ontological possibility – not, of course, as some self-contradictory proof of freedom, but simply to point out that freedom is just as much a possibility today as it was for the people who lived prior to the advent of modern science. I have found the opening of Genesis useful for understanding how all this relates to the real world. The beach, of course, is the earth today, saturated with families, engaged in the process of deciding where to put the paths and walls. As in the beginning, however, when the earth was a formless void covered in darkness, so has the earth become again, a formless cloud of greed, fear, anger, hatred, and lust. Like the god of Genesis, our job is to move over the face of this darkness, both as it manifests in our own lives and as it manifests in the world at large, and speak the words that will help it to move from death to life, from chaos to creation, words that will help usher in the next layers of universal complexity – society, technology, politics – in ways that lead to the flourishing of all life. Joseph Kirby is a PhD candidate at the Institute for Christian Studies, focusing on the philosophy of religion, politics, and ecology. 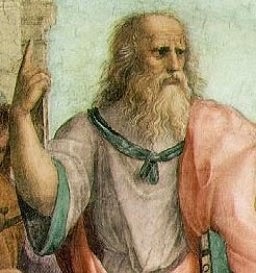 First photo used from http://www.sacred-texts.com/cla/plato/, public domain. 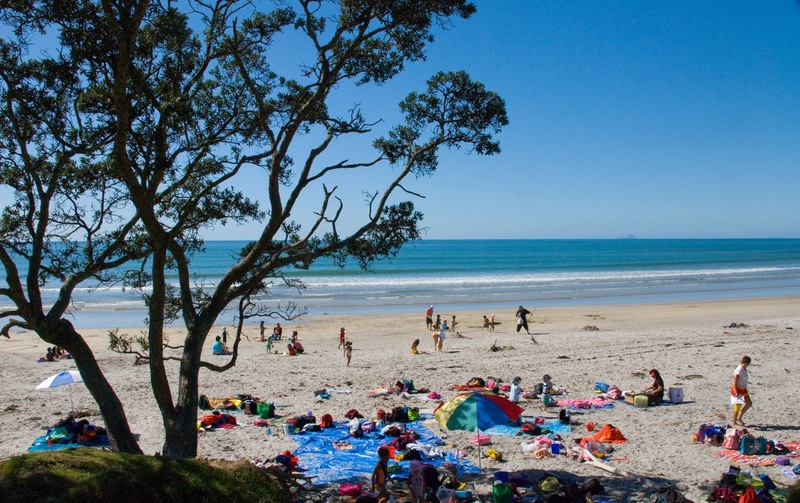 Second photo by Philip Capper used from http://commons.wikimedia.org/wiki/File:Maketu_beach_picnic.jpg. Third photo by NASA, public domain. -- John Dewey, Art as Experience, 277. 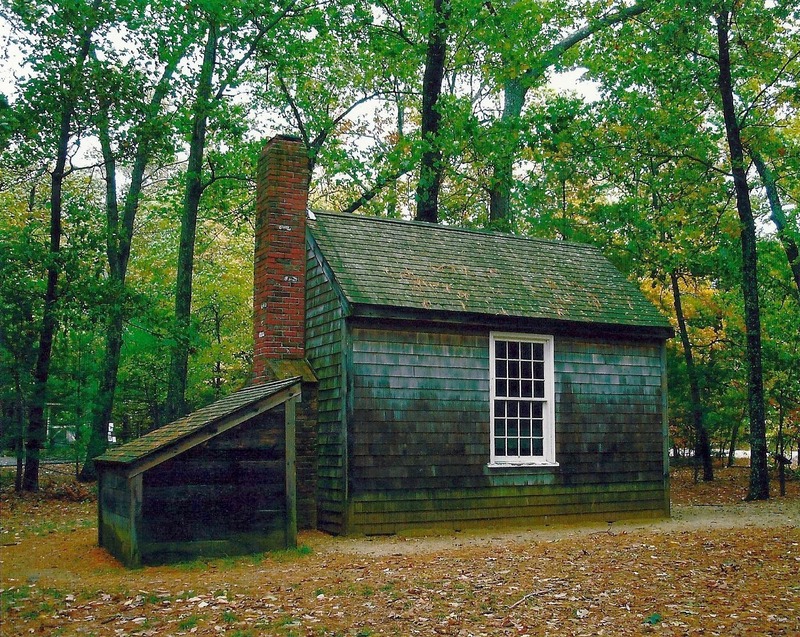 Overwhelmed by the clamor of the newly industrialized American life, Henry David Thoreau retreated to simple quill and quiet in a cabin on the banks of Walden Pond with nothing but a borrowed axe on Independence Day, July 4, 1845 (Walden, 70). Thoreau, like many other 19th century Americans, fought to find his feet on the unfamiliar industrial ground. He lamented the passing of real work, and with it real satisfaction, seeing hidden in the eyes of Americans a quiet desperation. “A stereotyped but unconscious despair is concealed under what are called the games and amusements of mankind,” says Thoreau. “There is no play in them, for this comes after work” (18). Thoreau and many others at the time, felt a deep sense that something real was being lost or covered over by culture and technology. And yet Henry David Thoreau built with a borrowed axe. “It is difficult to begin without borrowing,” he admits (40). I think Thoreau represents an essential dynamic in culture, one that seems always present and necessary at some level. In every generation, there are always those in Western society who feel that something important is being lost or covered over. Whether we label them “hippy” or “emo” or “hipster” or whatever else, each of these movements represents people who are dissatisfied with the pressure to conform to the cultural status quo that dictates what individuality ought to look like. These movements, just like the American transcendentalists, can illuminate oppressive structures hidden in culture, and we would do well to pay attention to them rather than dismiss them outright. However, we should also acknowledge that it is all too easy to forget that our individuality does not emerge out of nothing. No matter how self-reliant we think we are, we can’t get around the fact that we begin by borrowing. Each of us was each born into a culture, a language, and a tradition, and we cannot select our identities prior to our immersion in these. We can resist the pressures of the culture we find ourselves in. But even so, we can’t get around the fact that we are acting in response to something that already exists. Our identities are always anchored in one way or another, for better or worse, to the communities we find ourselves already in. In these communities, we are inescapably bound to one another, creating and changing each other through how we interact. The point here is a Heideggerian one. We owe the core of who we are to the world into which we were born. We were thrown into a way of life from the moment we opened our eyes, a way that orients us in the world and gives us a certain fluency in our being-in-the-world. We learn a language that allows us to express our innovative ideas, and it’s impossible to have any individuality and freedom of self-expression unless we are already indebted to the culture into which we are born and raised. Unless we have borrowed an axe, so to speak, we cannot begin building our individuality. The deep desire for self-reliance that was made explicit in the American transcendentalists like Thoreau is still with us today, I think, in the way authenticity is so highly valued. It represents a legitimate concern that we be keenly aware and critical of the sorts of pressures that society exerts on us and the ambient noise that subtly shapes the way we think. At the same time, though, this desire for self-reliance grows out of a certain way of thinking about individuality that locates our individual uniqueness and our core selves somewhere deep inside ourselves, closed off from the world and from others. Coming to terms with our belonging to one another and to the culture into which we were born allows us to cultivate who we want to be in an authentic way that moves from simple self-reliance to other-reliance, to an ontology of dependence. So it seems to me that the search for authenticity, or its fetishization according to some, is not necessarily a bad thing, as long as it contributes to a self-aware critique of the culture that shapes us, built on an ontology of dependence rather than the blind pursuit of self-reliant novelty. Authentic individuality, built with a borrowed axe, makes way for a new kind of self-reliance that is not just about our inner selves and is inseparable from our dependence upon one another. Matthew E. Johnson is a junior member at the Institute for Christian Studies, focusing his philosophical studies on hermeneutics, aesthetics, discourse, and issues surrounding individual and group identity.